Tim Aselton has lived in this great community since 1986 and started pressure washing in 1994 to put himself through Fire & EMT College. 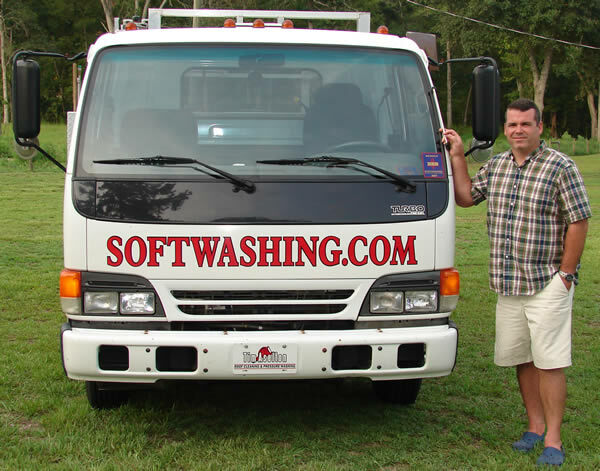 The business started out with just a pickup truck and a pressure washer, but has developed into one of the finest state of the art softwashing set-ups in the area. With 19 years worth of exterior cleaning experience behind him, he has developed a very effective systematic approach to cleaning surfaces from multi-story office buildings to residential roofs and homes.